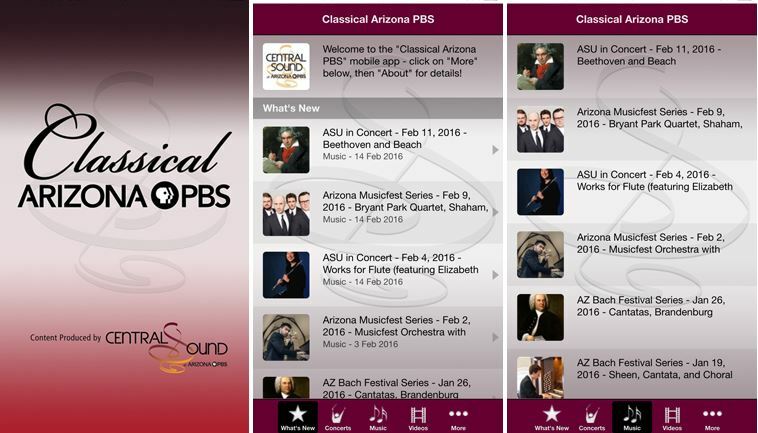 Classical Arizona PBS – Digital TV channel 8.5 simulcasts 89.5 FM KBAQ 24/7, including premier sound recordings produced by our own Central Sound at Arizona PBS. Central Sound productions can also be heard via live streaming at kbaq.org. KBAQ is a service of Arizona State University and Rio Salado College, the Maricopa County Community College District.